BRYAN EATON/Staff Photo. 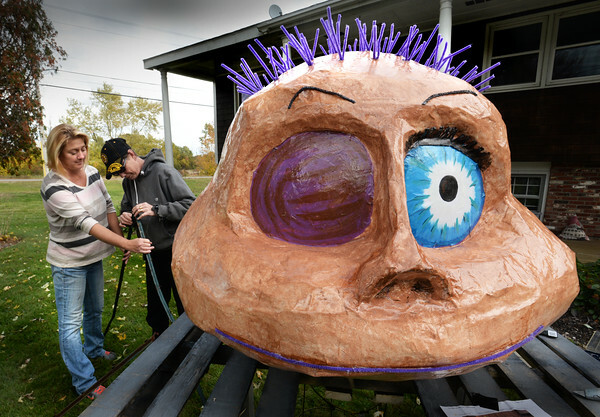 Sisters Lynn Blanchette, left, and Rita Carter have been creating different characters several years for Halloween outside Blanchette's Central Street, Byfield home. This year they're working on a character in one of the Toy Story movie series which is made with a huge beach ball, paper mache, foam and insulation.